A limited number of places are available to join us in Hathersage for a series of enlightening and informative talks on Ultra running and the Dig Deep Races. There will also be an opportunity to join one of the classes/Ultra recce’s later in the day so please bring your running stuff. We also have some kit for you to try on, if you wish, from a few of the race sponsors. Finally, there will be an opportunity to buy discounted running kit from the Hathersage Outside store for those attending. Please note that the day is totally free but we do ask that you sign up on the race organiser’s website. Please note that you do not have to be entered on to the Dig Deep races to attend but if the day is full then we will give preference to those already booked on to the races. The runs/training will be at a steady pace so a moderate level of fitness is required. We have a strict limit for the day so please book in advance. England International Ultra Runner and last year’s Ultra Tour of the Peak District winner! Race finisher on, West Highland Way race, Highland Fling, Hardmoors 110, Ultra Tour de Mont Blanc, Petite Trot a Leon, Tor des Geants and the Ultra Trail South West. Dave now runs his own fell running guiding and Navigation Company. He’s also a very handy fell runner! Climber/mountaineer and fell runner – also happens to be the race organiser and route planner! Basic fell navigation – pick up the basics! 7pm We also have a night/twilight run over the Burbage section of the UTPD. An ideal opportunity for a bit of additional training and to familiarise yourself with this section in poor light! 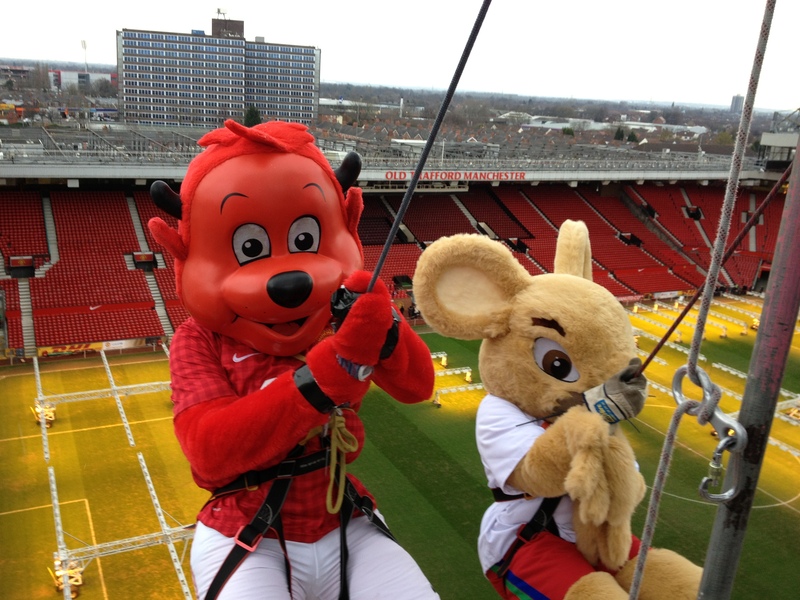 We had a cold and snowy weekend for the MUFC abseil with nearly 400 people taking part over two days. The two MUFC Foundation adopted charities were Christies and Francis House.